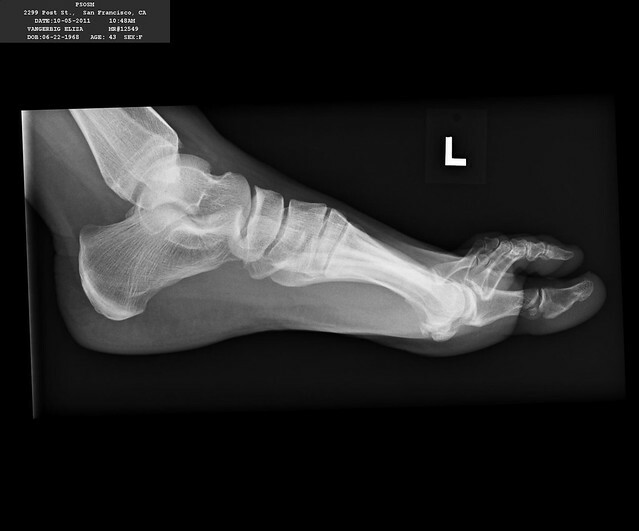 The latest series of guidelines to come down the pipeline from the American Orthopaedic Foot and Ankle Society urge caution and restraint in treating a number of conditions.1http://www.aofas.org/medical-community/health-policy/Documents/Choosing_Wisely_FINAL_9.5.14.pdf Podiatrists may be too quick to offer prescriptions or therapies, telling patients what they want to hear — rather than judiciously recommending treatments based on symptoms and trying the most conservative options first. While this may be frustrating to patients — especially ones who have recently switched foot doctors — sometimes less is best in this industry. Here’s what the society recently had to say about everything from bunions and flat feet to plantar fasciitis and Morton’s neuromas. 1. Surgery should not be performed for bunions without symptoms. “Foot surgery for cosmetic reasons is not supported by medical research,” states the AOFAS. Bunions may not look great in a sandal, but they can often be prevented from worsening through the use of bunion pads, bunion splints, toe spacers, custom arch supports, and shoes with wider toe-boxes. If you can no longer wear any shoes comfortably due to bunion friction and pain, then it may be time to discuss surgical options — particularly if conservative methods have failed. Certainly you shouldn’t suffer excruciating pain every day or go through life unable to walk, run, or stand for extended periods of time. Generally, we only perform surgery on bunions and hammertoes when pain and/or limited movement become life-altering issues for our patients. Patients who opt for surgery are at risk for complications like nerve damage, infection, bone healing problems, and toe stiffness, so it’s not a decision to be taken lightly. 2. Shoe inserts should not be universally prescribed for flat feet or high arches. Many people have flat feet or high arches, but lead symptom-free lives. Sometimes our high-tech gait analysis equipment detects these natural abnormalities in the feet, but we find no need to prescribe additional therapies if the patient does not present with any type of pain in the feet, ankles, legs, knees, or back. There is currently no evidence that placing artificial inserts in the shoes will aid in the development of the arch. The only true way to change the structure of the foot is through surgical intervention, which is almost never necessary. When patients come in complaining of foot aches and pains, we do sometimes recommend custom orthoses when a change in footwear doesn’t help. Many people are surprised to learn that they do not change their daily shoes often enough and that, in itself, can cause tremendous pain. Within a few weeks of wearing new or more supportive athletic shoes, they often find all pain symptoms subside. And, as we’ve discussed previously, there are also a number of ways you can extend the life of your shoes to prevent foot problems. 3. Six months of conservative treatment must precede plantar fasciitis surgery. According to the AOFAS, “plantar fasciitis will resolve up to 97% of the time” with consistent, conservative care. Success rates for surgery are lower and add the possibility of complications, as with bunion surgery. Heel pain can be a terrible thing, and patients often suffer with it for a long time before coming in to see us. The good news is that our NYC foot doctors have many new, innovative pain therapies at their disposal. Stretching and physical therapy can go a long way, but we also offer cutting edge non-invasive therapies such as extracorporeal shockwave therapy, platelet-rich plasma or steroid injections, and footwear counseling to help patients. 4. Patients should stand and bear weight during foot and ankle x-rays. Problems of the foot and ankle are not always visible when the foot is at rest and not bearing any weight. Deformities of the forefoot, midfoot and hindfoot are more pronounced when patients stand and add some weight. This is especially true of patients with arthritis, as the joint space narrows when weight is placed on the foot. The Center for Podiatric Care and Sports Medicine is equipped with all the latest diagnostic tools from x-ray machines and CT scans to MRIs and gait analysis, so we can get you an accurate diagnosis the first time. 5. Alcohol injections are not recommended for Morton’s Neuroma. A decade ago, neurolysis was a popular treatment that enabled patients with Morton’s Neuroma to avoid surgery. However, long-term follow-up studies indicate that alcohol can permanently damage the nerve.2http://www.ncbi.nlm.nih.gov/pubmed/23669161 Complications like “bruising, scar formation, dysesthesia, severe pain and infection” are common, says the AOFAS. Instead of alcohol, they recommend treating patients with “a combination of roomier and more comfortable shoes, nonsteroidal anti-inflammatory medication, custom foot orthoses and cortisone injections,” which provide relief in over 80% of Morton’s Neuroma patients. NYC podiatrists at The Center for Podiatric Care and Sports Medicine are familiar with the guidance offered by professional organizations like the AOFAS, as well as The American College of Foot and Ankle Surgeons, the American Board of Podiatric Surgery, the American Academy of Podiatric Sports Medicine, the American Academy of Hospital Podiatrists, the American College of Sports Medicine, and the New York College of Podiatric Medicine. You are in good hands with us! Contact our board-certified foot and ankle doctors to schedule an appointment.